this card is for Fusion Card challenge. 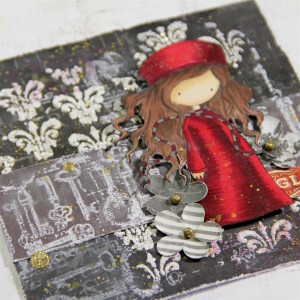 I love creating mixed media card so I used sketch from challenge and made Gorjuss card. Gorjus is stamped with Memento ink and coloured with Copics. I used lots of Prima Marketing (Finnabair) products. Background is made with stencil, paste, embossing powder, stamps, chalk inks, acrylic paint ArtAlchemy and other. This entry was posted in Challenge and tagged cardmaking, Challenge, Copic, Finnabair, mixed media, Prima Marketing. this card was made for CASology challenge with cue word BARK (week 215). 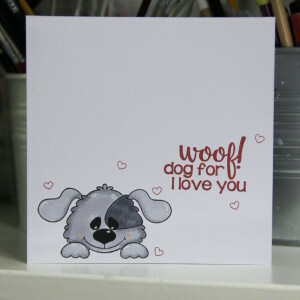 I made funny card with cute dog from Pink and Main. 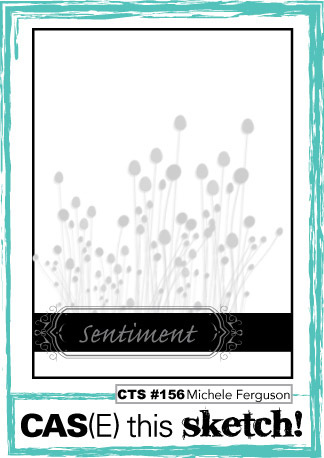 It is CAS card with plenty white place. 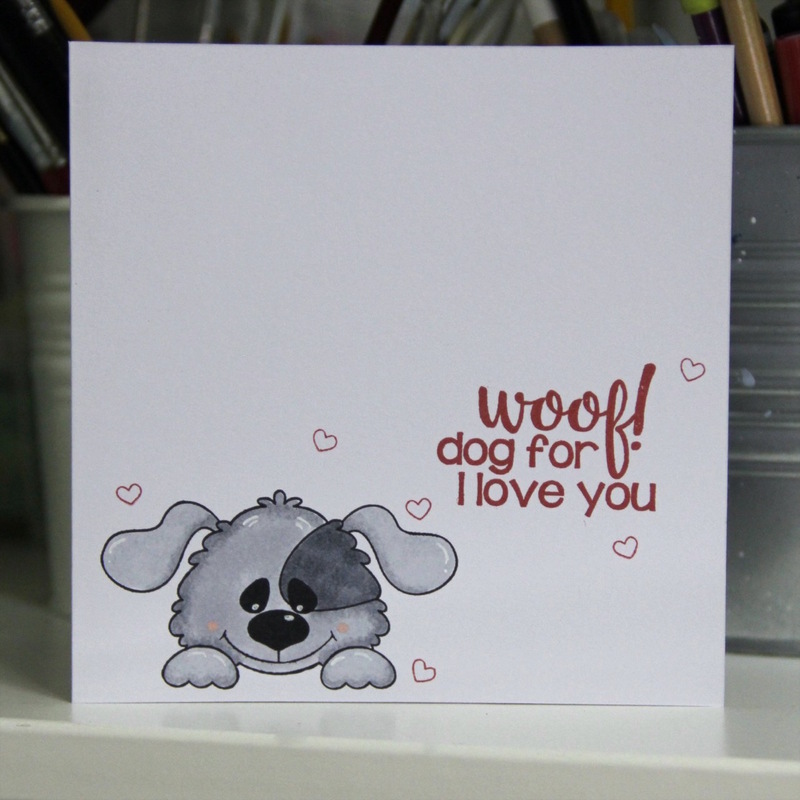 Main image is stamped with Memento ink and easily coloured with Copics, sentiment and hearts are stamped with Hero Arts ink. 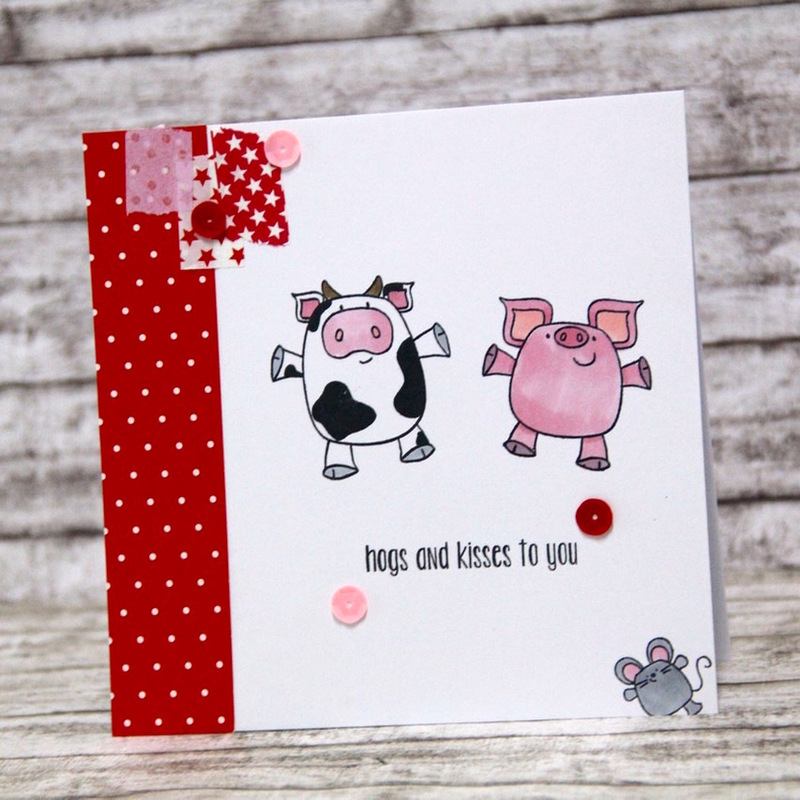 This entry was posted in Challenge and tagged cardmaking, Challenge, Copic, Pink and Main. I am really having lot of fun today with challenges, finally I found more time for crafting in these busy days. Here in Czech Republic we do not have holidays yet, they starts 1.7. so school year is finishing. 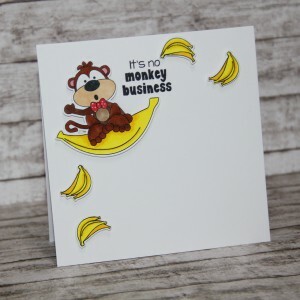 This card is for Simon Says Stamp Wednesday challenge blog. I made funny card with cute animals from Pink and Main. this card is for Case this sketch. I used super funny stamps from Pink and Main. I wanted to make slightly different card than floral and I hope you like it. Instead of flowers I used bananas. Hi, this card is for Case this sketch challenge. I used great stamps from Pink and Main. On the background are very light clouds and sequins and gems. Image is stamped with Memento ink and coloured with Copics. This entry was posted in Challenge and tagged Challenge, Copic, Pink and Main.